Are you a Microsoft investor? Be afraid. Be very afraid. By 2010 Windows will be as dead as CP/M, and every Windows-based software vendor will be either supporting Linux or out of business. The process is in fact 80% complete: The end result is already obvious to bright CEOs, and will shortly be obvious even to bright mainstream press columnists. In this essay, we will skim the available evidence, extrapolate the trend, and examine some of the mechanisms powering those trends. How do you extrapolate an exponential? In his 1952 essay Where to? (available in Expanded Universe) Robert A Heinlein pointed out that there are four ways of extrapolating an exponential curve. Suppose, for example, that an operating system "Linux" has been doubling market share every six months for a decade, and has reached 2.5% of the desktop market. How should an analyst extrapolate the curve? The conservative mainstream analyst will project that Linux will maintain a constant market share thereafter, perhaps declining slowly: Linux at 2.5% desktop market share for a few years declining to 1% within a decade, say. The daring analyst will allow for a slow rate of growth beyond the the current level, rapidly approaching a limit: Linux growing slowly from 2.5% of market share to say 5.0% in a decade or two. The very daring analyst will extrapolate a linear rate of market share growth: If Linux has grown from 0 to 2.5% of the desktop market in the last decade, it will grow from 2.5% to 5.0% of the desktop market in the next decade, and by 2100 will have around a 25.0% of the desktop market. Finally, there is the mathematically correct way of extrapolating an exponential: If Linux has been doubling every six months for a decade, the most probable extrapolation is that it will continue to double every six months. That will put it at about 10% of the desktop by Jan 2000, about 40% of the desktop by Jan 2001, and at market saturation by Jan 2002. Note that when Linux reached 10% of server market share, all the mainstream third-party server software developers jumped on the bandwagon. The conservative assumption, then, is that when Linux reaches 10% of desktop market share, the third-party desktop software developers will likewise jump on the bandwagon. Understandably: a 10% marketshare gain is enough to interest the shareholders. We may expect to see this avalanche effect to kick in on the desktop market sometime in the year 2000. Arithmetic Exercise: What is Linux's doubling time? Datum: In 1991 Linux had one user, Linus Torvalds. Datum: 1024 is 10 doubling times, so a million is about 20 doubling times, and 16 million is about 24 doubling times. Result: 24 doubling times in 8 years is 3 doubling times a year, or an overall doubling time of four months. For this essay, I'll stick with the conservative figure of two Linux doublings per year: It makes the arithmetic easier to follow. Daring minds can re-do the extrapolation with a four-month doubling time. Observation: The race is nearly run. In an exponential process, each doubling is just as difficult as any other doubling. Linux has successfully doubled 24 times so far, and needs a total of 29 to 30 doublings to achieve desktop market dominance: accordingly, in fundamental terms, it is about 24/30ths of the way there already, which is to say 80%. It takes a brave or foolhardy analyst to predict that the runner will trip and fall before the finish line when the race is already 80% over! It is one thing to tot up plain public facts and make elementary geometric extrapolations: It is another to understand them. Why is Linux smashing Windows in the marketplace? For a somewhat deeper understanding, we may observe that Windows' eclipse by Linux is not an isolated event, but in fact merely the continuation of an overwhelming industry trend in operation for a quarter century. In 1970, the engineering computing world was dominated at every level by proprietary standards. ASCII was a distant dream: Every computer had its own binary text encoding used by its own line of terminals: Heaven help anyone foolish enough to try transporting a text file between brands of computers. Major computer manufacturers had several incompatible text encodings: for example IBM's EBCDIC variants and DEC with sixbit vs radix50. If you were perverse enough to want your text to be portable across computers, you avoided risky extensions like lower case, never mind special characters beyond comma and period. In 1970, primitive proprietary operating systems bestrode the landscape like mighty dinosaurs: Prime's PrimeOS, DEC's RSTS, RT-11 &tc (with VAX/VMS soon to come), IBM's innumerable offerings, CDC's Scope and of course dominating the scientific workstation market, Apollo's Domain. Who would then have dared to predict the fall of such giants? What force could topple such entrenched operating systems, backed by massive industry investment, hacker culture and customer loyalty? In 1975 Bell Labs released Unix. Unix had no support from any existing vendor: None had the slightest interest in backing, supporting or developing an alternative to its proprietary operating systems offerings. Unix had zero customer base: Nobody had ever heard of it, nobody was requesting it. Unix had zero marketing: Nobody had any reason to spend money building mindshare for it. Decidedly: Unix wiped all workstation competition off the map in less than fifteen years. On April 12, 1989, HP bought up Apollo at a fire-sale price, putting out of its misery the last remaining proprietary operating system vendor in the workstation world, and the workstation proprietary OS era was over: Unix was left alone in the workstation market. In fifteen years, a magtape and an idea had effectively destroyed all opposition: Every workstation vendor was either supporting Unix or out of business. What was the idea that single-handedly exterminated these proprietary dinosaurs? Open standards and consumer choice. The same proprietary monopolies which are so very profitable for vendors are so very expensive for their customers that, given a choice, customers pick open standards and free competition every time. And sooner or later some struggling vendor offers them the choice. In the end, a mature workstation market realized that it was better served by open standards across the entire industry, and every vendor fell into line or went out of business, all the way from terminal vendors (ASCII or bankruptcy) to networking vendors (TCP/IP or bankruptcy) to CPU vendors (Unix or bankruptcy). But even as St Unix was slaying the proprietary dinosaurs of the workstation world, history was repeating itself in the Valley of Microcomputers. In 1960 DEC introduced the PDP-1 minicomputer, and in 1963 the PDP-8, with 4K words of memory. In 1975 MITS introduced the ALTAIR 8800 microcomputer with 256 words of memory. Just when it appeared that disks and high level languages were here to stay, suddenly one could once again experience the joys of assembly coded operating systems loaded off tape! Microcomputing has proceeded to replay the history of the workstation ever since, with a fifteen year delay. On this basis alone, a lazy analyst, noting 1989 as the year of the final demise of minicomputer proprietary operating systems, could pick 2004 as a likely year for the final demise of proprietary microcomputer operating systems -- in close agreement with the exponential trend's prediction of Linux market saturation starting in 2002. Another cheap prediction directly from history: Just as the death knell of minicomputer proprietary operating systems was a lawsuit requiring that Federal minicomputer purchases specify an open standard such as POSIX rather than a single-vendor sweetheart solution such as VAX/VMS, the final death knell of microcomputer proprietary operating systems will be a successful lawsuit requiring that Federal microcomputer purchases specify an open solution such as POSIX rather than a single-vendor sweetheart solution such as Windows. Today, the same people who picked open standards over proprietary solutions in the workstation context are faced with the same decisions in the microcomputer context and (is anyone surprised?) are making the same choices: Proprietary solutions in the microcomputer world are being rapidly replaced by open standards on all fronts. Open software standards like TCP/IP are rapidly killing off proprietary standards like IPX while simultaneously open hardware standards like PCI are clobbering proprietary alternatives like Microchannel. Microsoft was the biggest of the microcomputing dinosaurs pushing proprietary solutions, and unsurprisingly it is proving the last to sink in the tarpit of open standards, just as Apollo, leading vendor of proprietary workstation operating systems, was the last to give up the ghost. True, like a trapped Tyrannosaurus Rex, Microsoft remains dangerous, able to rend any competitor within reach of its jaws, even as its struggles sink it ever deeper into the tarpit. To maintain the appearance of robust growth critical to its dominance, Microsoft has had to nearly triple the real per-CPU cost of Windows over the last half-decade, from below $20 to over $50. In the short term, this is an effective way of converting monopoly power into revenue, but the result is to increase the incentive for customers to switch vendors: Today 60-80% of IT managers say they would switch from Windows if they had a choice -- and companies like Compaq are starting to ship boxes with Linux pre-installed. With new PC prices dropping below $400, $50 for the OS is no longer economic: Change is in the wind. To survive the short term, Microsoft software has had to offer steadily increasing support for open standards: Today its applications have to support C, Java, HTML, TCP/IP, SQL and a host of other standards beyond its control. But each time it switches from a proprietary standard to an open one, the Last Dinosaur reduces its monopoly power, opens the door wider to free competition, and increases the leverage customers have to demand yet more adherence to open standards. Every such tactical victory is a strategic defeat. The result from Microsoft's perspective is an exponentially increasing sink rate into the tarpit, resulting in a steadily rising level of desperation sufficient (for example) to drive the Last Dinosaur to bet-the-company confrontations with the American legal system which it would never have considered in happier days. To deal with competitors like AOL, Microsoft has had to go beyond merely reluctantly supporting one standard after another, and begin actively promoting the construction of new open standards, for example its promotion via the IETF of an instant message protocol standard (RVP) to compete with AOL's ICQ. Even if this succeeds in weakening AOL in the short run, it will result in yet another industry move from proprietary to open standards, which in the long run will move Microsoft one step closer to open competition in a free market. No points for guessing that Microsoft wouldn't be doing this if it thought it still had the faintest ghost of a chance of creating a proprietary standard it controlled: Microsoft is implicitly admitting that the days of proprietary microcomputer standards are over. To slow its sink rate somewhat, Microsoft has had to resort to increasingly heavy-handed tactics, which may sometimes work in the short run, but which mean that is it stepping steadily more painfully on the toes of organizations ranging from the Pentagon to General Motors -- organizations which can and do eliminate irritants. It is no coincidence that Microsoft misbehavior has simultaneously become of interest in venues ranging from the US Congress to the European Union to Japan to the US Department of Justice to any number of US state governments: Microsoft has begun buying short-term survival at the cost of long-term hostility, a desperate bargain indeed. It is anyone's guess what the specific result of any particular legal or legislative action will be, but in the end it doesn't matter: What does matter is that vast groupings of the world's power elite now see Microsoft as a problem to be solved, and will crank up the pressure until a solution satisfactory to them is achieved. To them, that means being able to make commodity purchases in a competitive market, and not being subject to the whims or self-interest of any single CEO. The direct costs to the world economy of Microsoft's monopoly now run to the tens of billions of dollars; the indirect costs run to the trillions. That's more than enough to motivate mainstream action. No amount of PR posturing can hide those costs from the people paying them, nor stave off indefinitely solutions to the problem. Will Microsoft in the end suddenly turn to the Light Side? There is precedent in the way DEC suddenly switched from "Unix is Snake Oil" to "We're the biggest Unix vendor in the industry". Or will Microsoft fight with conviction to the bitter end, as did Apollo, going down with all PR guns blazing? We have no way of guessing, but in industry terms, it doesn't make any difference anyhow, except perhaps to Microsoft employees and stockholders. Let us leave the Last Dinosaur sinking inexorably deeper into the tarpit which has now claimed all of Microsoft's predecessors in the proprietary operating systems game. As expected, Linux appears to be rapidly closing the web mindshare gap with Windows. Linux is not only growing faster than any OS in history -- it already has twice the Web mindshare of anything but Windows. Part of the answer is of course simple chance. Had Linus Torvalds been born ten years later, FreeBSD might well have inherited the ecological niche which Linux has claimed. A more interesting part of the answer is the Open Source revolution: Thanks to the rise of the Internet, microcomputing is here going on beyond a mere replay of workstation computing history to break new ground. Open standards make the computing world more efficient by reducing the amount of wasted motion needed to implement a new idea: Standards cut the software environment into pieces with defined interfaces, and only the component behind a given interface need be re-implemented. Introducing something like SSH can now be done just by replacing a few programs like telnet, instead of by introducing perhaps an entire new operating system. This reduction in wasted programming effort translates directly into cheaper and more plentiful software, which in turn produces indirect cost savings in every part of the economy leveraging software. Open source takes this a step further: When the source is available, instead of having to rewrite programs like telnet from scratch, the existing source code can be merely modified, resulting in still greater reduction in waste effort. Proprietary ownership of source code has in the past allowed large corporations to dominate the software market because they could modify their existing proprietary code more cheaply than others without access to it could rewrite from scratch. This allowed extraction of monopoly rents from customers, with the usual happy results for the seller and unhappy results for customers and the economy as a whole. The growth of the Internet has now put the shoe on the other foot: It has made cooperation so cheap, and the set of cooperating Linux developers so large, that Linux now not only has a programmer force dwarfing anything Microsoft can field (with a doubling time measured in months), but an existing codebase dwarfing that available to all but the very largest corporations. The Linux codebase consists of about one hundred million lines of code, which at the accepted industry rate of $100/line, represents an effective capital investment of ten billion dollars. For comparison, a company like Lotus or Apple has a market value of about a two billion dollars, Oracle has a market value of about thirty billion dollars, and Microsoft has a market value of about one hundred billion dollars. In economic terms, if Linux were a corporation, by conventional economic metrics of book value, it would currently be roughly the third largest software firm on the planet, behind Microsoft and Oracle and ahead of firms like Autodesk ($1.3 billion). In terms of sheer productive programming power, Linux already dwarfs Microsoft, and is pulling away fast: If it were a conventional software corporation, it would have the largest effective development budget in the software world. Since there is no conceivable way Microsoft can match the scale of the Linux effort, there is no way Microsoft can ever close the capability and reliability gap which Linux has already opened up over Windows: By the time the Last Dinosaur can struggle up to where Linux already is, Linux will be over the horizon. Thanks to the availability of source, the entire academic and research world has become a Linux R&D lab. For example, thanks to NASA's Beowulf project, Linux has today operational, production supercomputers with hundreds of nodes. It is a safe prediction that within a year there will be Linux-driven supercomputers with over a thousand CPUs -- quite possibly many thousands. I don't know what will come out of the research labs at NASA, MIT, Caltech and kin tomorrow or next year, but one prediction is easy: The overwhelming majority of the advances will be built on Linux. The result of all this is the start of a fundamental phase transition in the way the entire software industry works. Innovative companies are discovering that by going with Linux, they get to leverage a software base with a commercial equivalent worth already exceeding ten billion dollars and doubling steadily -- instead of having to re-invent these wheels and be correspondingly late to market -- and to boot gain as an ally the largest software development team on the planet. It's already hard to resist, and once Linux' market share passes that of Windows, it will be irresistable and irreversable. On your way out, please leave a donation for the Dinosaur Preservation Foundation: Someone needs to start preserving memories of the old order, before they are lost forever. All rights released: Duplicate freely. This document is public domain. Linux Journal and its Linux Resources. RedHat Linux, top commercial distribution. If you want commercial Linux sales and support, this is for you. Debian Linux, top volunteer distribution. If you like the brotherhood of hackers Linux experience, this is for you. Current release includes 1800 applications. SAL, a great index of thousands upon thousands of Linux applications. Linux Applications and Utilities Page, another great index. WINE -- run your legacy Windows apps on Linux! GNOME -- next-generation Linux desktop that will make Linux as easy to use as Windows or Macs. Linux Daily News: What happened today? Freshmeat: What new Linux programs were released today? SlashDot: What's today's geek gossip? Linux Mall is a major online retailer of Linux operating systems, applications, and books. The University of California Museum of Paleontology has a great Dinosaur section -- I swiped the wallpaper for this essay from them. There's an Internet Dinosaur Mailing List. 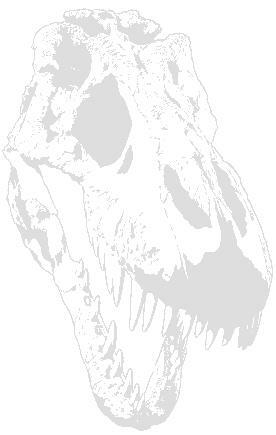 The Paleo Ring includes sites like the Dinosaur Art and Modelling page, with the obligatory Tyrannosaurus Rex subsection. Dino Russ's Lair has lots more cool stuff, including many more dino links. The above essay was written in early January, 1999. I think it has held up very well. Microsoft's stock is down 50% from its peak. Microsoft has been formally convicted of possessing and abusing monopoly power and is facing breakup. A tidal wave of civil lawsuits is about to break over Microsoft, seeking to recover billions of dollars in damages from the formal findings of fact that Microsoft has possessed and abused monopoly power -- appeals courts do not deal with findings of fact, so these will stand whatever the other results of the Department of Justice's anti-trust case. After twenty years of refusing to sell a share, Bill Gates is selling off his Microsoft stock as fast as he dares, and has stepped down as CEO -- clearly he sees the end of the road. Windows 2000 is getting at best a lukewarm reception, while Windows CE is being shunned. The mass media, always sensitive to the moods of their major advertisers, have switched from uniformly positive coverage of Microsoft to neutral or outright hostile coverage. Meanwhile, Linux continues to be the only operating system gaining share against Windows. It now commands the internet server market, and is rapidly becoming the industry-standard platform supported by players from IBM through HP to Sun and Oracle, who are collectively plowing billions of dollars into advancing Linux. They effectively guarantee the success of Linux: Anything the Linux community needs but cannot produce for itself, they will provide. SCO, the largest vendor of proprietary Unix operating systems, has just been bought by a Linux company. Microsoft itself is increasingly investing in Linux-driven companies. Entire countries like South Korea are standardizing on Linux. Much of the world educational system is being converted to Linux, promising generations of Linux-trained graduates. The British secret service wants Britain to standardize on Linux because it doesn't know what sort of trapdoors the NSA has persuaded Microsoft to include in Windows; China has the same concerns and also wants to standardize on Linux to save money and get better Chinese-language support. Germany, France and Scandinavia are offering formal government support to Linux. Latin America is in love with Linux. In the big-iron market, all machines will shortly be able to run Linux binaries, as vendors from IBM to Sun rush to take advantage of the Linux application base and to escape Microsoft's painful stranglehold. In the new embedded device market -- such things as cellphones -- Linux is obliterating Windows CE. The embedded device industry clearly has no intention whatever of repeating the PC industry's mistake of getting locked in to an abusive monopoly. In the desktop market, Linux has moved past Apple to become the #2 player, with about 6% of the market. (This represents "only" a bit more than one doubling of market share since the essay was written, indicating that Linux is entering the second half of its sigmoid sooner than I expected -- I expected market saturation effects to kick in at about 30% market share.) Apple itself is migrating its software to run on top of Unix, and in due course will be forced by the inexorable logic of economics to run on top of Linux: Apple will become a Linux company, selling a better GUI and easier to configure hardware on top of the base Linux functionality. PC hardware companies like NVidia and 3dfx which in 1999 were refusing to provide Linux developers with the information need to write drivers are now developing Linux drivers themselves and actively courting the Linux market. Linux is now less than one doubling away from gaining 10% of the PC desktop market, at which point third-party desktop software vendors will start tripping over each other in their haste not to be last into the Linux market. This avalanche will erase Window's application-base advantage, which is the last lifeline keeping Microsoft's dinosaur operating system from sinking: After that, the desktop market will crash inexorably and irreversably over to Linux. Microsoft will port Microsoft Office to Linux, which might or might not be enough to keep it in business. The Linux desktop market is already demonstrating the advantages of a innovation-friendly level playing field, showing a degree of vitality forever foreclosed to the monopoly-crippled Windows world, with every day another company announcing improved installation support for Linux or better real-time support or a more user-friendly desktop. Whatever your interest, two or three Linux vendors are competing to provide what you want, and the combination of free innovation and free consumer choice ensure that Linux will rapidly leave Windows in the dust by every technical measure of consequence. Microsoft's centrally planned economy simply cannot compete with Linux's decentralized capitalism in the Internet era. Linux truly is the software platform for the new millenium.